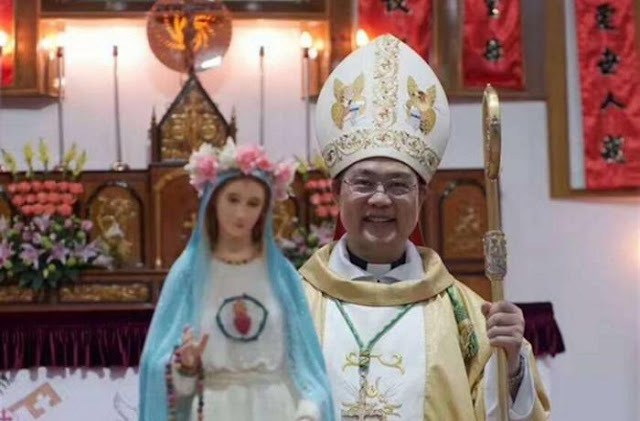 Rome (AsiaNews) - The bishop of Wenzhou (Zhejiang), Msgr. Pietro Shao Zhumin, was kidnapped by police this morning at 9 and will be kept away from the diocese for "10 or 15 days". Usually such forced seizures are defined by the police as "vacation periods". They are actually periods of interrogation and indoctrination. The faithful of the diocese have invited all the communities and the Church in the world to pray for the bishop. So sorry to see this, but a necessary reminder that we should always pray for those who are persecuted in any way, for their faith! My continued prayers for this Bishop that he will be safe and for all others who suffer the same! Again reminded how blessed I am to live in a Country where we have freedom to worship! May God bless our Chinese Christian brethren suffering persecution! They are just like the early Christians! May the power of Christ compels the Chinese authorities to release him and all religious prisoners and finally allow them to preach and spread the words of God. All nations doing business with China should rethink and send a clear message to China. Our prayers to our brethrens being persecuted.